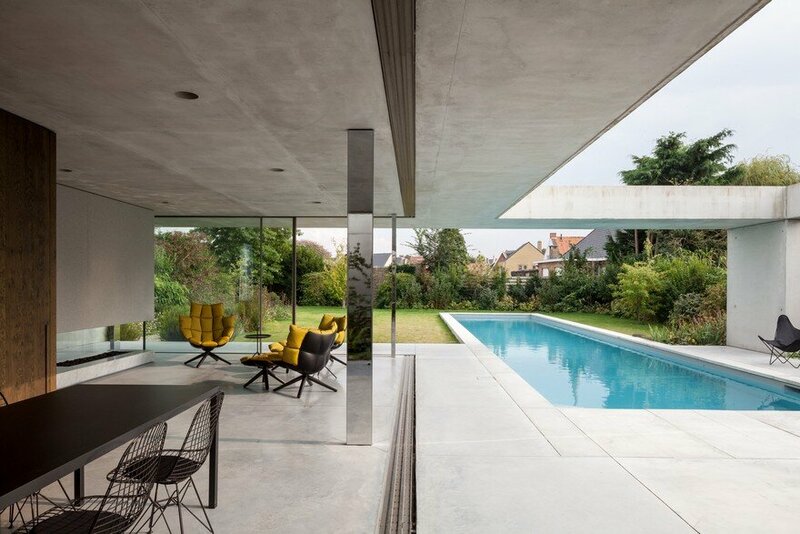 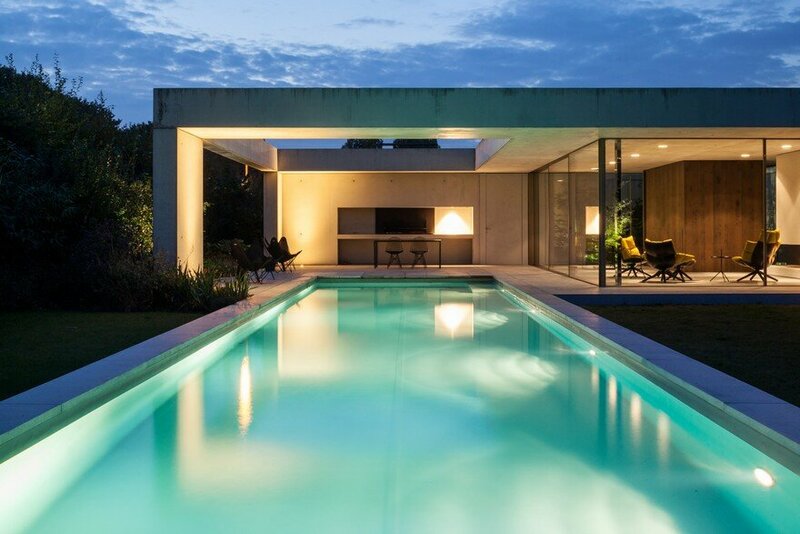 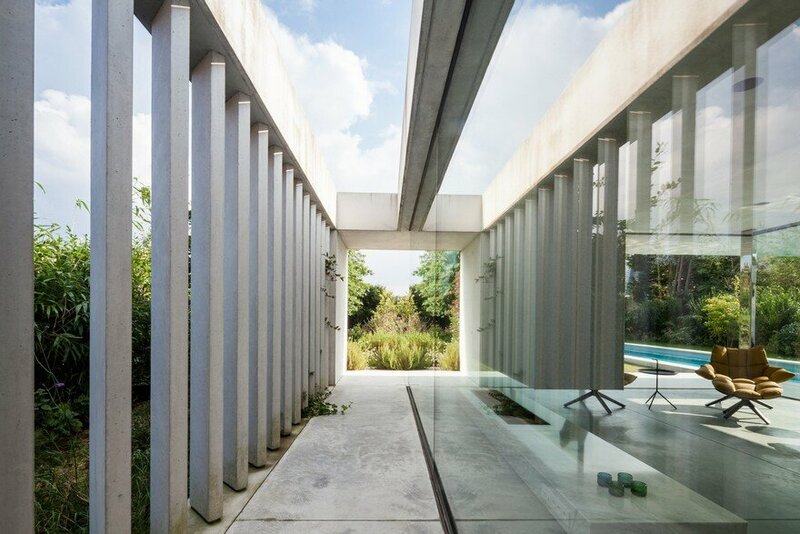 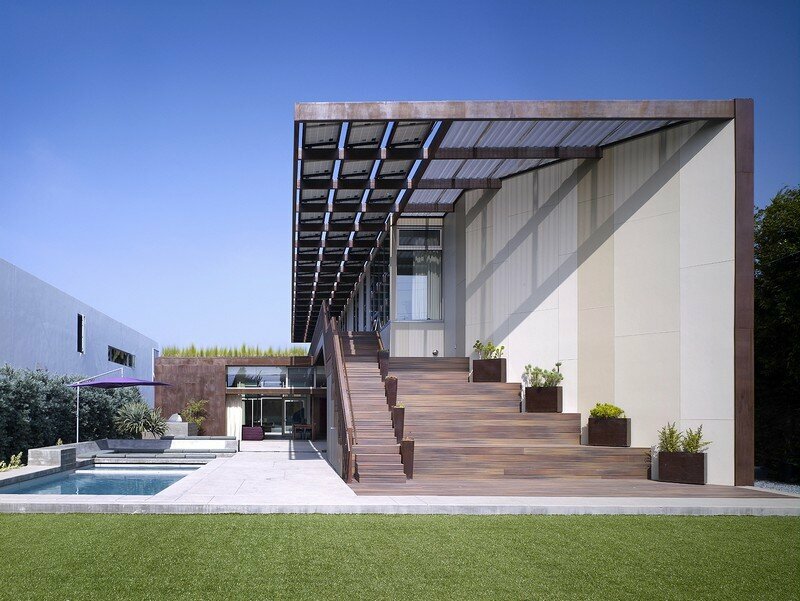 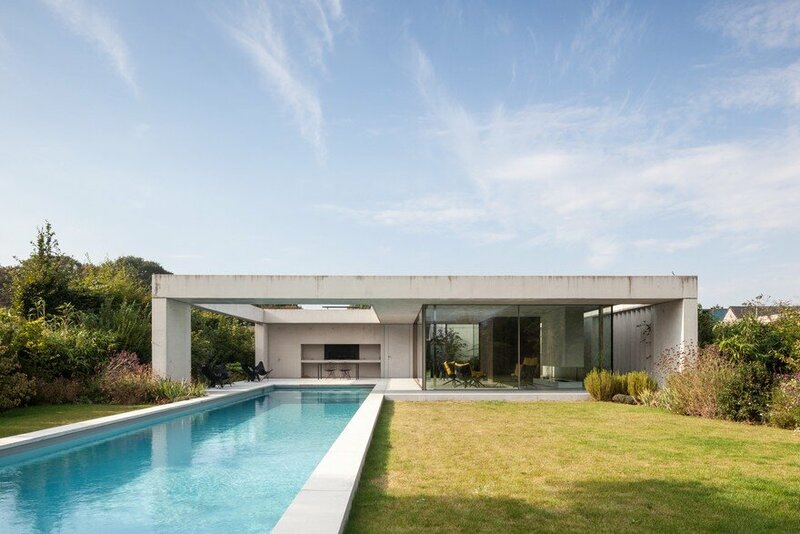 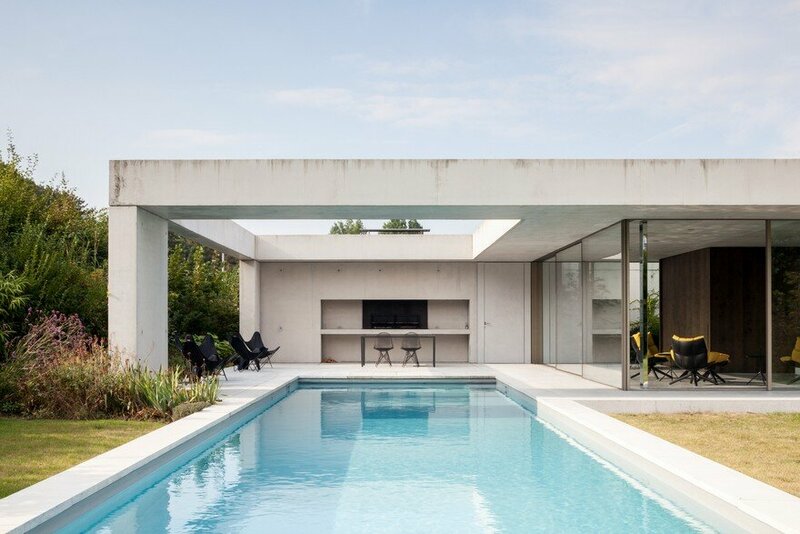 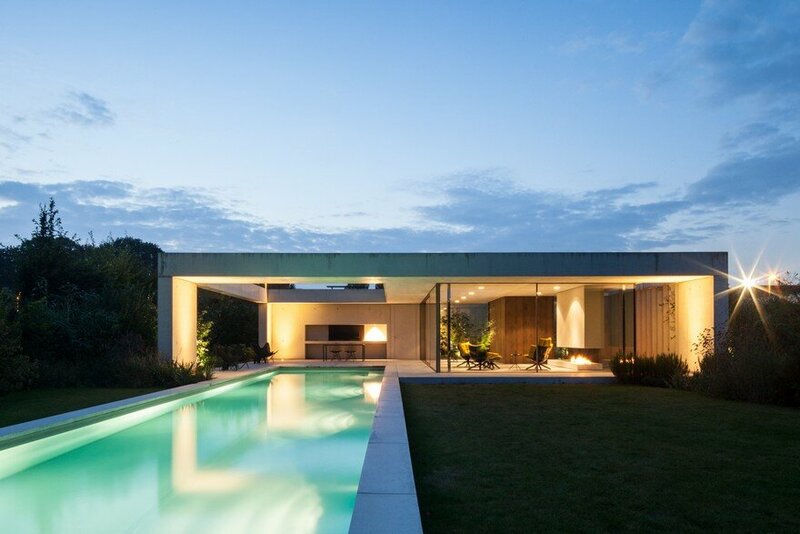 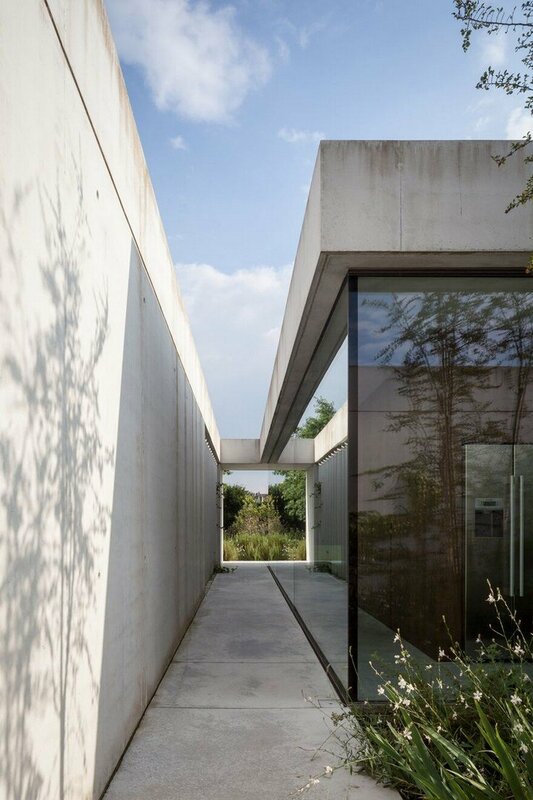 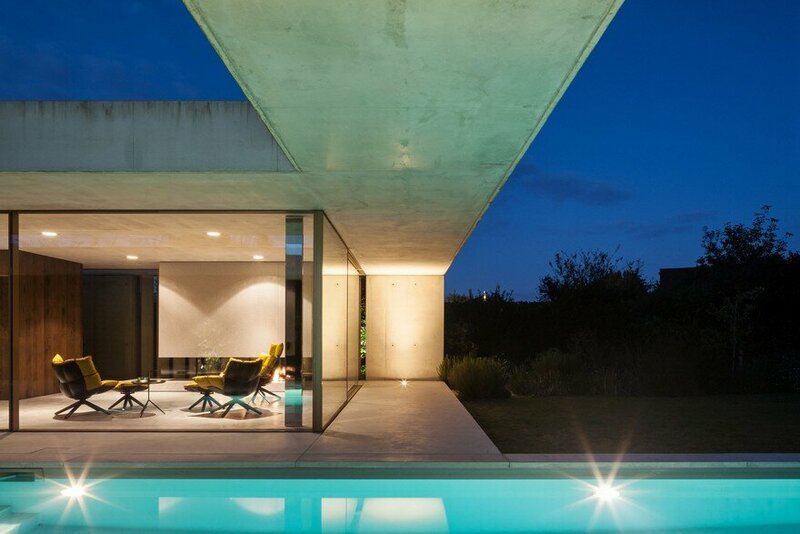 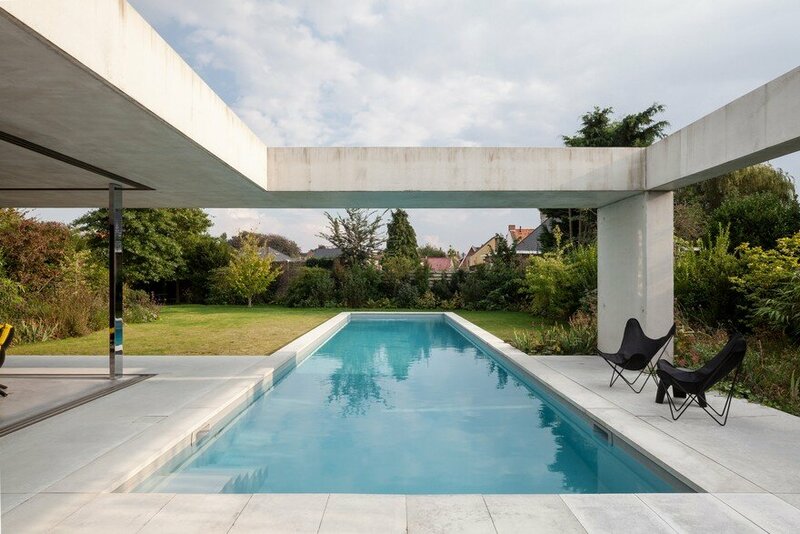 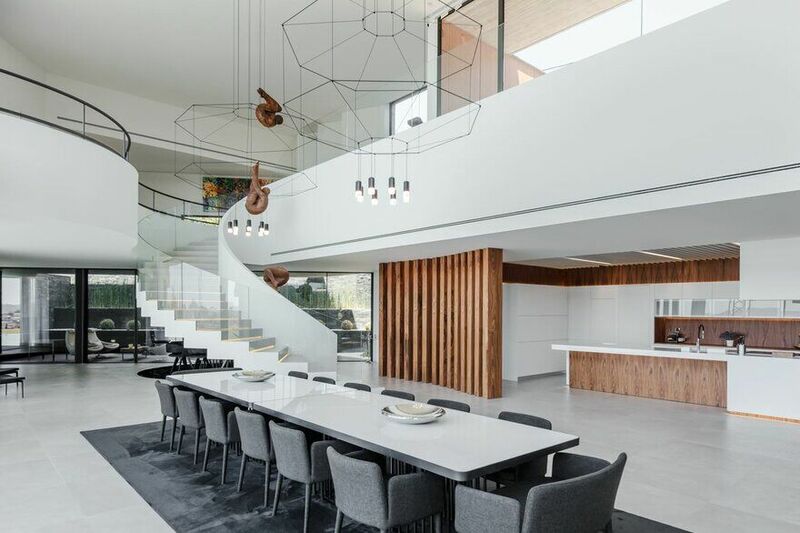 Description by architect: The project brings together a walled courtyard and a swimming pool. 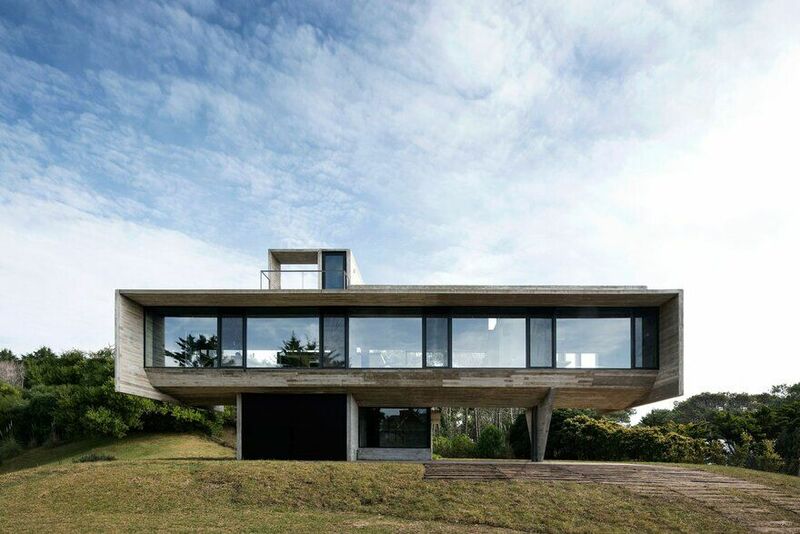 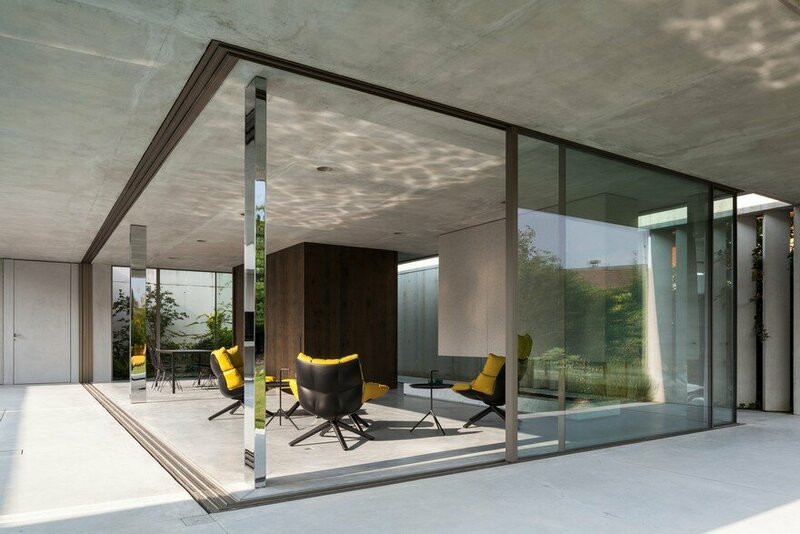 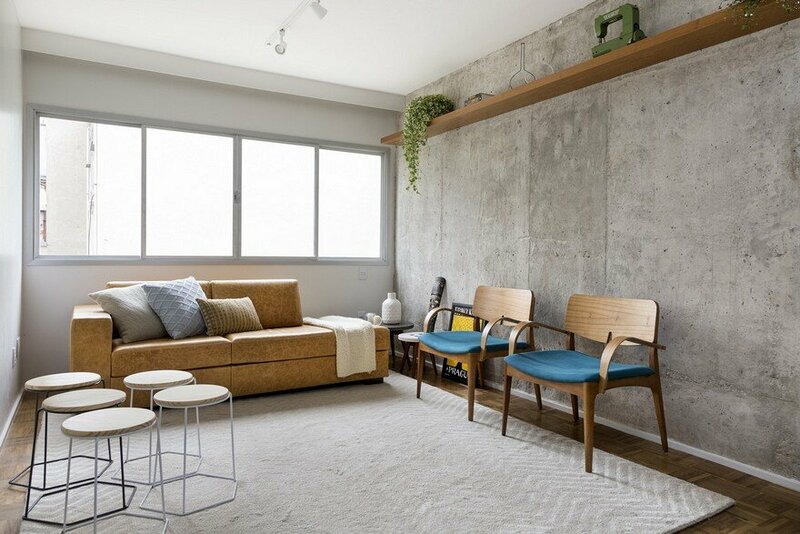 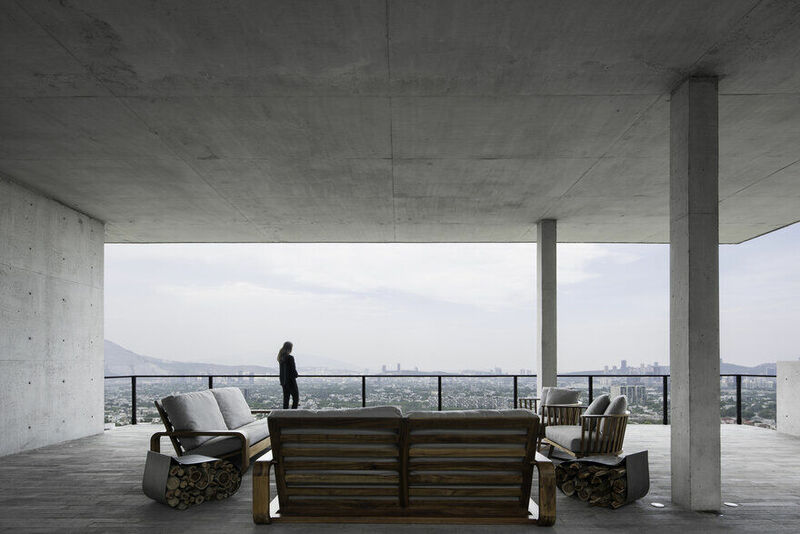 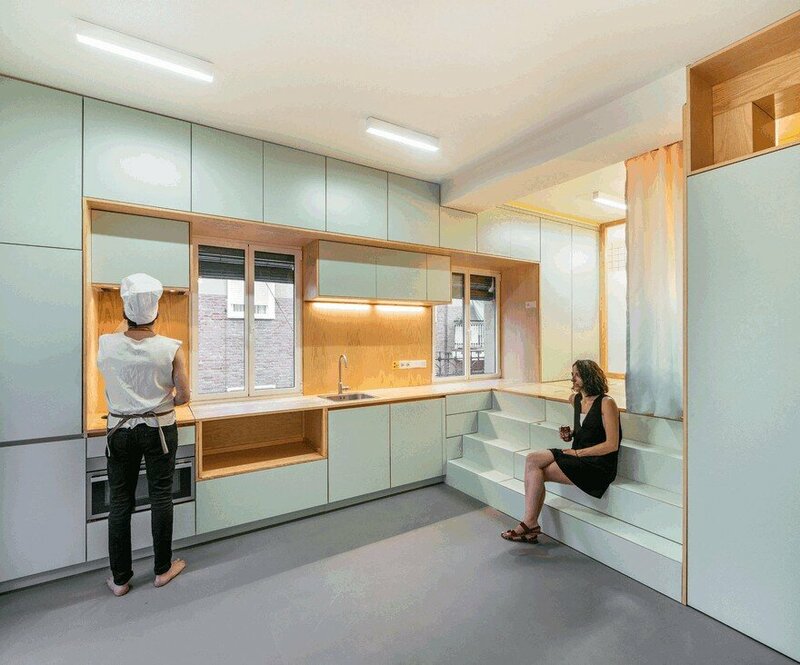 The living area is a glass box contained within a concrete garden pavilion. 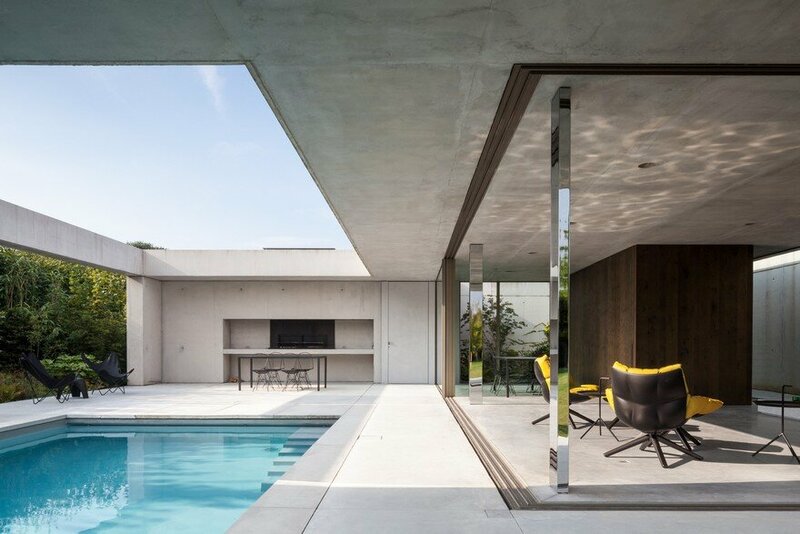 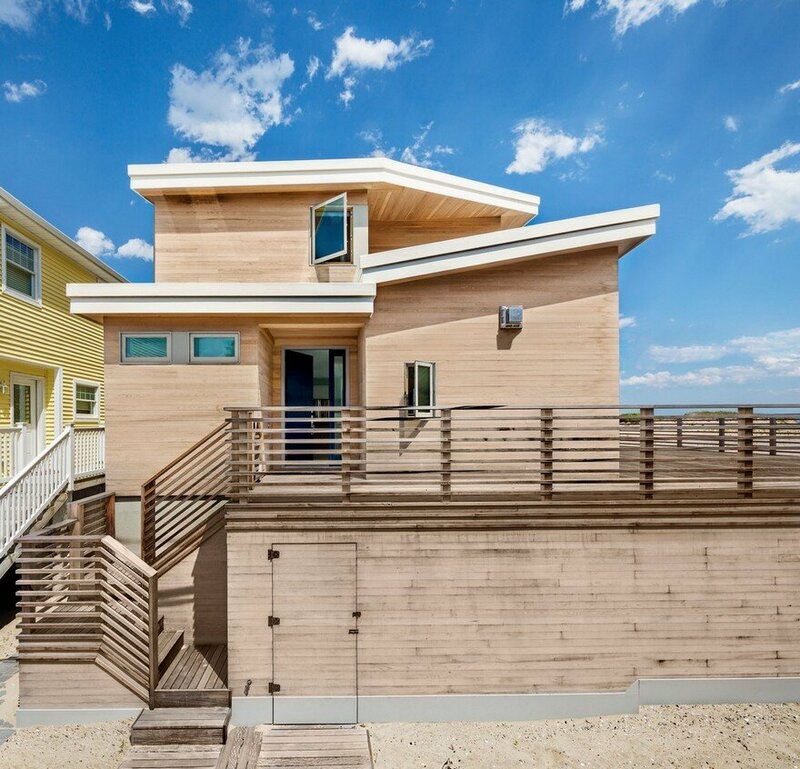 By making the poolhouse entirely out of glass, with minimal framed windows, both inside and outside seems to disappear. 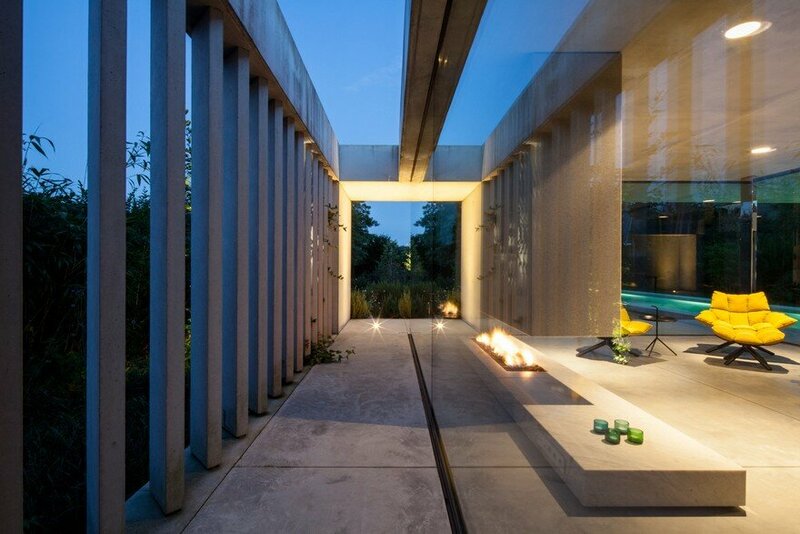 Natural light is entering the pavilion by creating enclosed gardens. 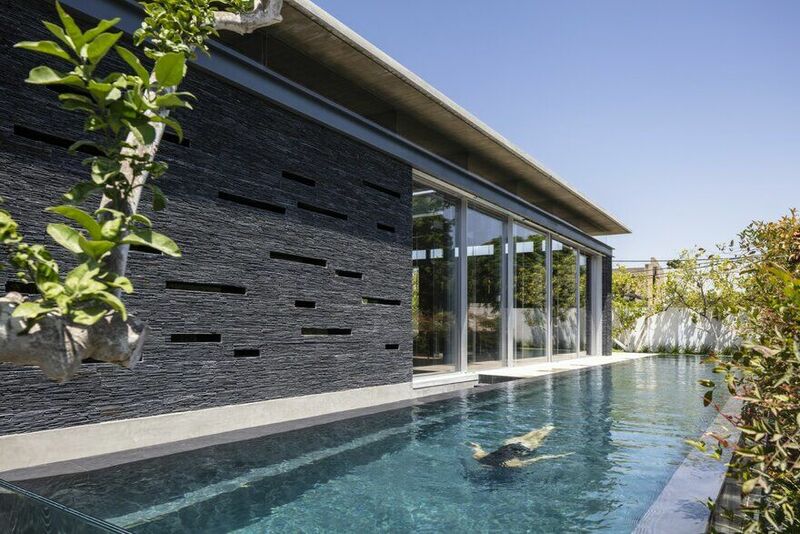 The overall atmosphere is a combination of rough and soft materials creating an intense, silent luxury the length of the pool allows you to experience swimming in a garden, under a building and in a building. 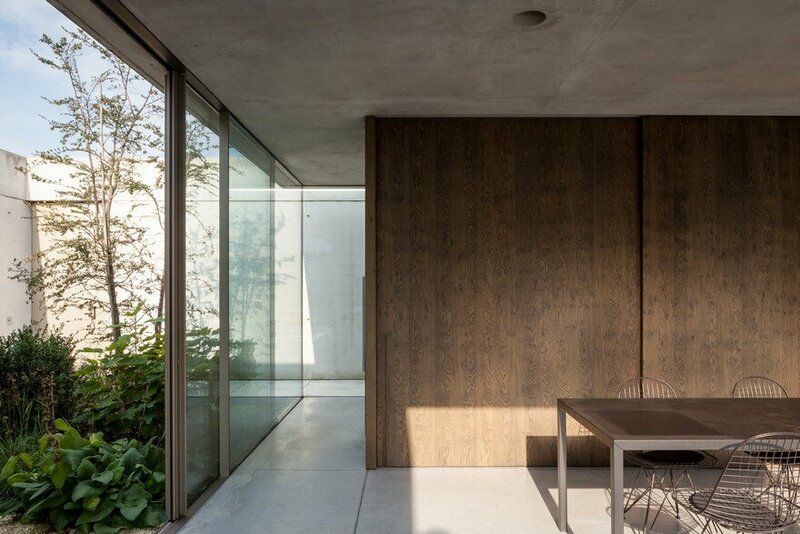 The garden (designed by Alderik Heirman) is gently entering the building and results in a perfect marriage of nature and architecture.